Texting my husband that I had “buns in the oven” probably wasn’t the greatest idea. He replied with a heartfelt message that included how much he loved me and expressed his excitement to grow together. I guess I should have explained that there was no “bun” intended, (Ha Ha! I crack myself up!) and that I was texting quite literally. None the less, I did have buns in the oven, and miniature ones at that! 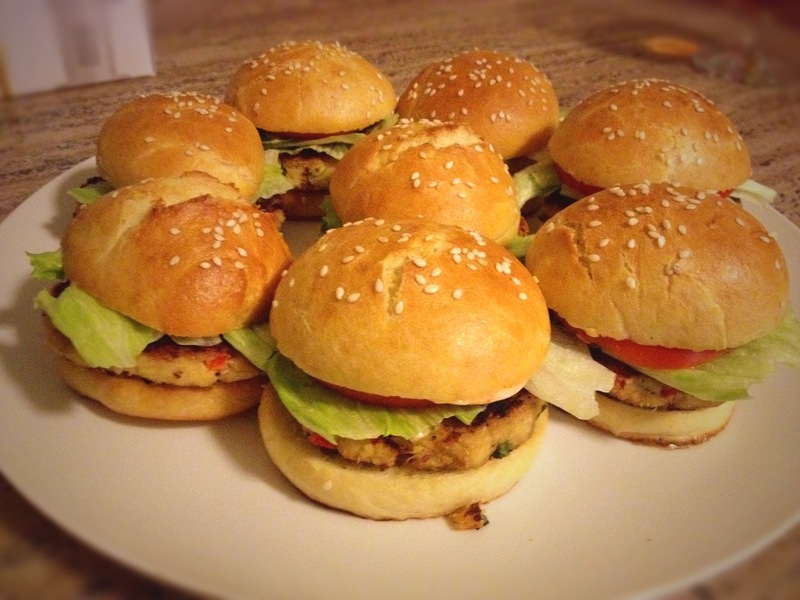 I adapted the recipe from smitten kitchen, where she explains how she scoured 100’s of recipes to find the perfect burger bun recipe. I have to say, I’m glad she did the research for me. Bread baking is time consuming, usually with 2 risings, and my patience would wear thin after 1-2 attempts. Thankfully, these turned out amazing on the first try! 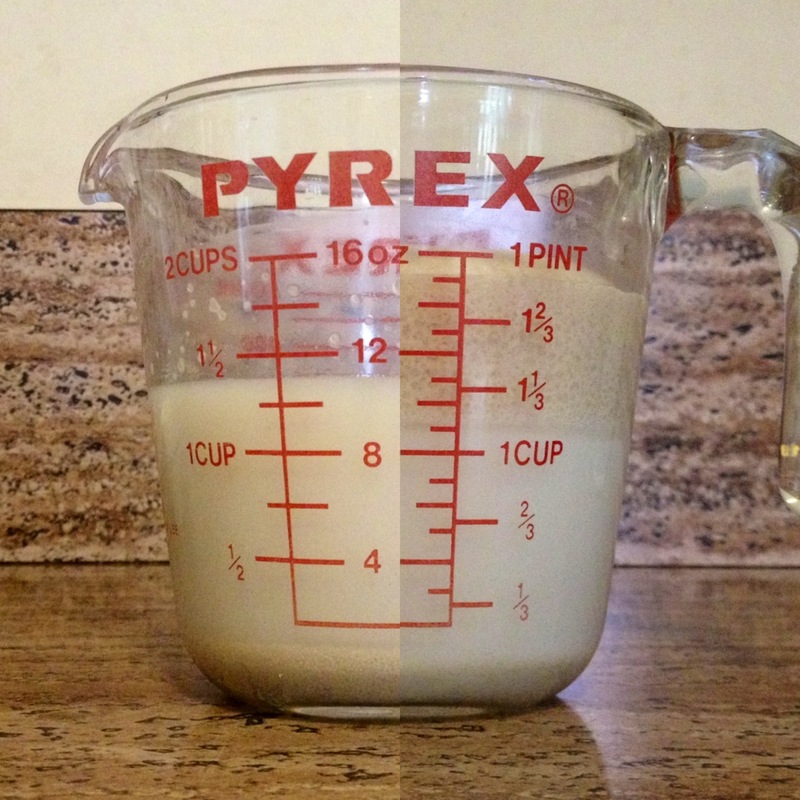 Stir together the warm water, milk and sugar, making sure the temperature is about 110 degrees. Stir in the yeast and let it sit to proof and get foamy. Whisk the flours and salt together in a kitchen aide mixer. Add in the butter a tablespoon at a time till crumbly. Replace the whisk with the dough hook attachment and pour in the yeast mixture and the beaten egg. 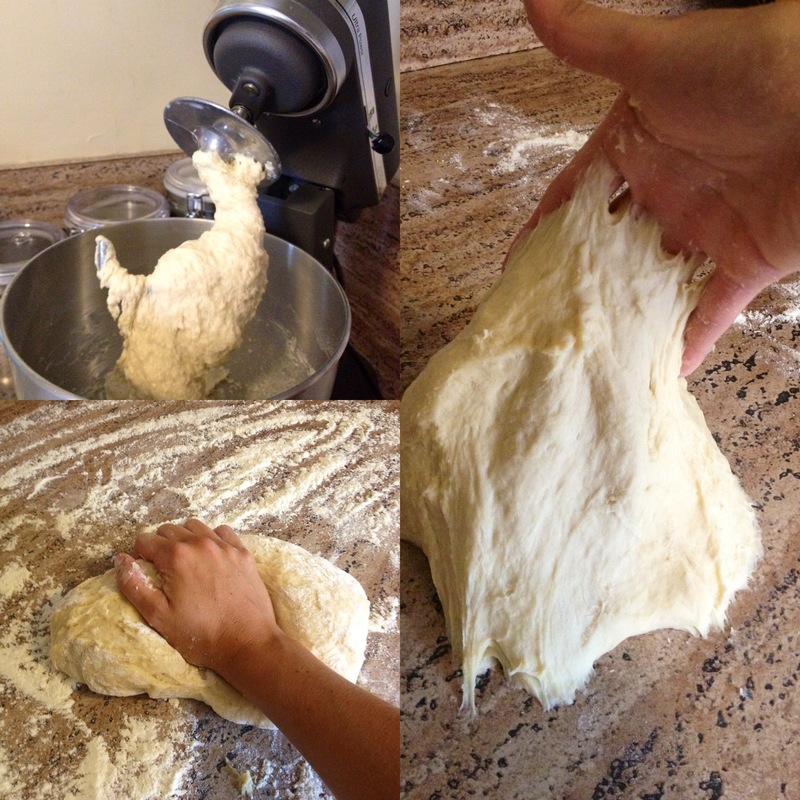 Scrape the dough onto a floured surface and knead 8 to 10 minutes (really stretching and slapping it). The dough will be sticky but try not to add a lot of extra flour because the more flour you knead in, the tougher the buns will get, and we want fluffy buns! 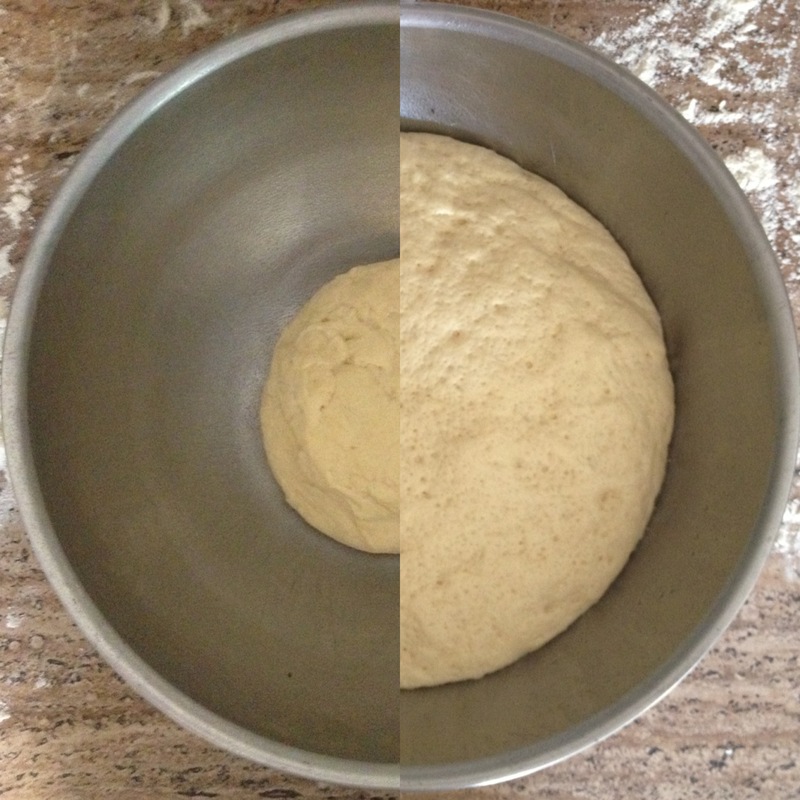 Place the dough in a bowl, sprayed with cooking spray, and cover with a warm damp towel. Allow it to rise till doubled in size. Preheat the oven to 400 degrees and place a shallow pan of boiling water on the center of the bottom rack. Beat the egg and water together, to make and egg wash, and brush over each bun. 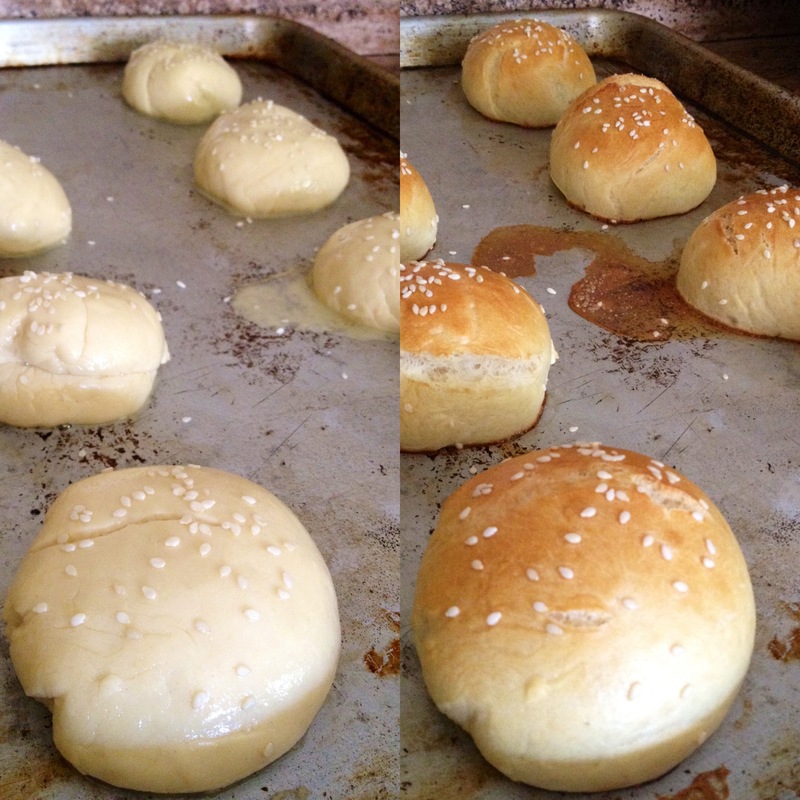 Sprinkle on the sesame seeds and bake about 15 minutes or till the tops are golden brown. You might want to turn the baking sheet about half way through the baking, so they bake evenly. Cool completely on a wire rack before slicing. Pingback: Tiny Food Tastes Better | Hello Delicious!